You very likely know the name “PopSugar” due its fashion and beauty editorial platforms. But did you know PopSugar sells its own beauty products, too? Consider this your notification. The PopSugar Sweet Stx Satin Matte Lip Color crayons are utterly and absolutely divine. They are also super versatile. Line your lips, fill in the surface, lightly blot with a tissue, and thus enjoy a super-pigmented and precise velvety matte pout. Or you can dot [it] on your lips and [then] use your finger to blend it out for that diffused, powder-y, and blurred ‘n’ blotted lip look that’s everywhere RN. The formula and texture are mega moist and won’t dry out your pucker or get all cakey, crusty, and downright gross. 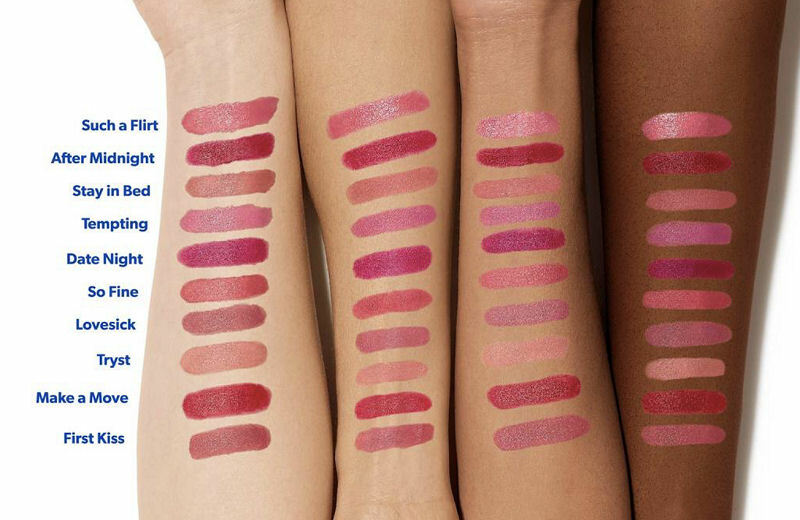 The rosy mauve shade First Kiss will look good on anyone who wears it. It’s that universally pretty. The best thing about this lippie, though, is that spun sugar scent. It’s a buttery, cupcake-y vanilla. It’s so delish and yummy. There are several color options available in the pink, rose, and berry range, so there will be something for everyone. This is a new sort of adult crayon!